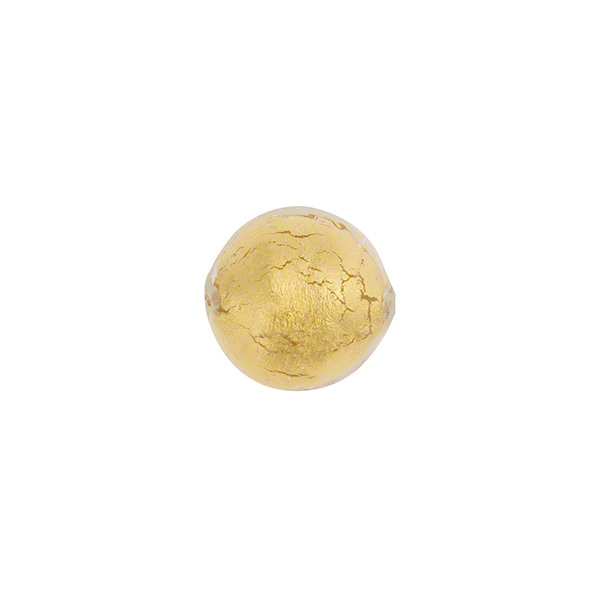 This bead features clear Murano glass over 24kt gold foil. This Authentic Murano Glass Bead is versatile and can be used in all your Venetian Glass Jewelry designs. The clear and gold goes with all our other Venetian Beads. This bead has an approximately 10mm in diameter with a 1mm hole which goes through the bead. I love this bead! The photo doesn't do it justice. I made a bracelet of just these beads and it's my favorite thing to wear. The color and shine is like nothing you've ever seen before.